November 10, 1907 – More than 3,000 members of the city’s Norwegian community greet Captain Roald Amundsen when he arrives at the LaSalle Street station. The Norwegian consul in the city, Herman Gade, welcomes the first man to navigate the northwest passage, saying, “On behalf of the Norwegians of Chicago I bid you a hearty welcome. Your achievements on behalf of science are such as will make your name live forever.” [Chicago Daily Tribune, November 11, 1907] Amundsen is visibly moved by the reception and responds, “Words fail to express my profound feelings of gratitude to you for this magnificent reception. You have given me a reception fit for a king. After all, I am but a sailor, but in honoring me you also honor my crew, who were my faithful companions during that eventful voyage through the northwest passage. On behalf of them I thank you from the bottom of my heart.” Between 1903 and 1906 Amundsen, using a 45-ton fishing vessel, sailed with a six-man crew from the Atlantic to the Pacific Oceans through Canada’s northwest passage, the first man to make the trek successfully. It was only the beginning of his exploits. In 1912, the explorer became the first man to lead an expedition to the South Pole. In 1926, he led an expedition that reached the North Pole, using two flying boats. 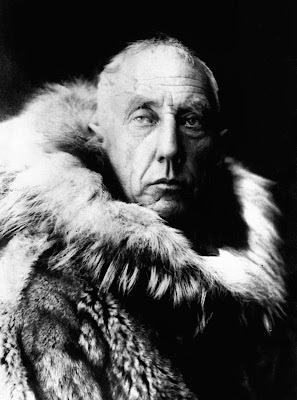 On June 18, 1928 Amundsen disappeared with a five-man crew while flying a rescue mission in the Arctic. 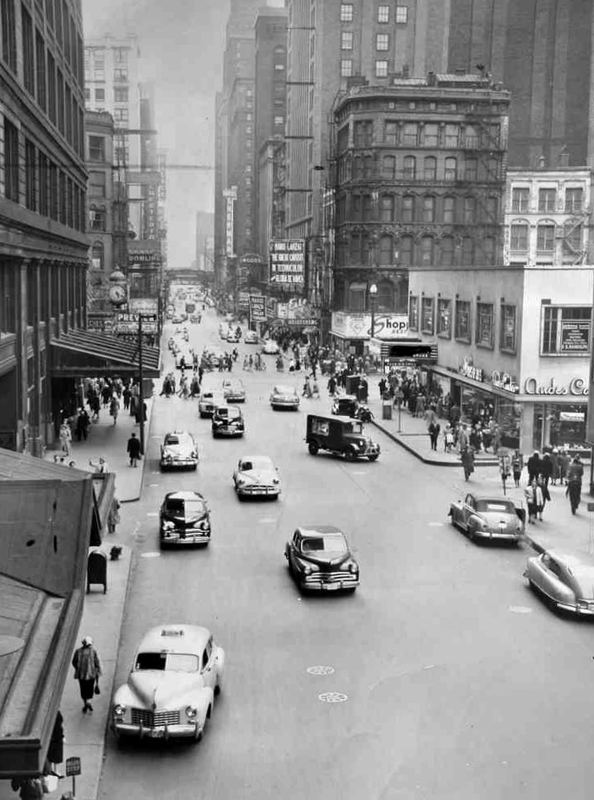 November 10, 1951 – Chicago tries to adjust to a radical transformation as Washington Boulevard and Monroe Street become one-way eastbound streets and Randolph, Madison and Adams Streets become one-way westbound roads. Even though it is a Saturday and traffic is light, there is still confusion, and 280 police officers are on hand to keep things in order. Michael Ahern, the city’s traffic guru, makes four observations after the day is over: (1) “Motorists using the one-way streets must overcome the habit of keeping to the right and realize the entire street is theirs; (2) Left turns are permissible on the one-way streets. The motorist planning to make a right turn off the one-way should edge over to the respective curb well before reaching the destination; (3) Motorists turning into the one-way streets will facilitate the flow of traffic behind if they proceed to the far curb, rather than make a sharp turn at the corner; and (4) Pedestrians must remain on the sidewalk until the signal lights change, and then be doubly alert.” [Chicago Daily Tribune, November 11, 1951] The above photo shows Randolph Street, looking west from Wabash, just after the change took place in 1951.